Dentro de las actividades de Perú en ARCO, las obras de Roberto Huarcaya podrán verse en las exposiciones “Estratos de un paisaje, fotografía contemporánea peruana en la Colección de Jan Mulder” en la Casa de América; en “Amazonías” en Matadero Madrid y en la misma Feria Arco. The OAS AMA | Art Museum of the Americas and the Permanent Mission of Peru to the OAS announce the opening of “Amazogramas,” an exhibition of the Peruvian artist’s large-scale photo-based installations, curated by Alejandro Castellote. Just over two years ago, he began a project that took him to Bahuaha Sonene, a national park in the Amazon jungle at southeastern Peru. Throughout the first year, Huarcaya made several trips in which he found it impossible to "depict" the vast web of emotions that the Peruvian jungle inspired. To solve the dilemmas he faced, Huarcaya chose to discard the sophisticated cameras he had used on his initial journeys. Instead, he chose to go back 175 years, and recover one of the first procedures used in photography: the photogram. The photogram is a technique that, without a lens or a camera, allowed for accurate reproductions of objects. Huarcaya’s solution to the difficulties of representation that paralyzed him was admitting the landscape´s superiority: to stop being an author – a monolithic authority – and become a mediator. The expedition undertaken by Huarcaya probably had his own interior search as a destination; and it was that relationship between experience and introspection that gave him access to different and more effective solutions. In any process that we use to obtain answers, time is a galvanizing and protean element. A beautiful metaphor of that process is found in photographic paper, which slowly shows its latent image – it reveals its answer – within a developer’s container. The examples, metaphors and allegories provide us with images that help us to understand the world in its most minuscule or anecdotic dimensions, as well as its metaphysical ones. Big leaves #1, 2018, from the series Amazogramas. Photogram 42.12 x 42.12 in / 107x107 cm. Unique piece / pieza única. Featuring artists from twelve different countries, this exhibition presents a wide range of creative responses to photography as an artistic medium and a communicative tool uniquely suited to modern media landscapes and globalized economies. The artists in this exhibition resist the impulse to “document” or “photograph anew” the world immediately around them. 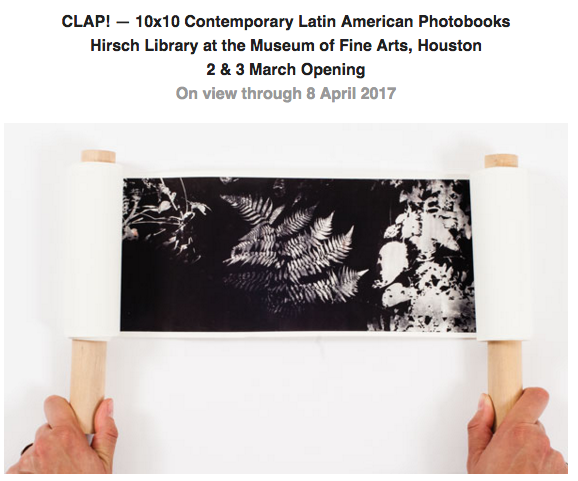 Instead, they employ a wide range of materials — from prints and drawings to photocopies and audio installations — to highlight the ways in which photography shapes our understanding of history as well as current events. El 20 de mayo se inauguró en Lisboa la exposición Amazogramas 90 metros de Bahuaja Sonene, dentro del marco del evento Lisboa Capital Iberoamericana de la Cultura 2017 y Arco Lisboa, como parte del proyecto Contenedores en la explanada de ingreso del Centro Cultural Belem. Los Amazogramas de Roberto Huarcaya ambientaron el proyecto Plan Selva presentado en el Pabellón peruano en la Bienal de Arquitectura de Venecia 2016 y que ganó el segundo premio. 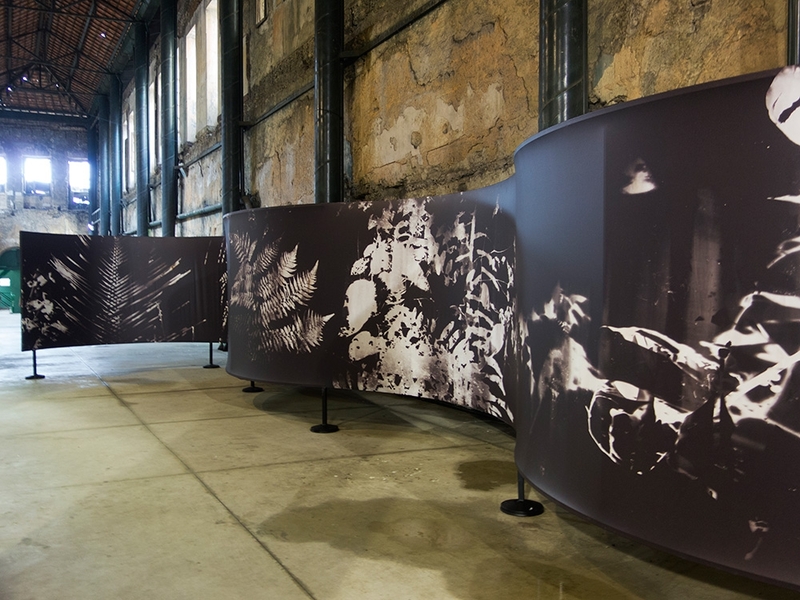 El Centro de Fotografía de Montevideo invitó a Roberto Huarcaya a reinterpretar su obra Amazogramas, fragmentando sus monumentales fotogramas en 84 paneles colocados al aire libre en la Fotogalería del Parque Rodó, proponiendo así un encuentro conceptual entre la selva y el parque urbano. Dina Mitrani Gallery presenta la obra reciente del artista peruano Roberto Huarcaya. Es la primera exposición individual del artista en la galería. En el reconocido concurso Petrobras 2010 participaron más de 1,700 fotógrafos de distintas nacionalidades, quedando seleccionados 11 argentinos y un peruano, Roberto Huarcaya, quien ganó el primer puesto con la foto Playa pública / playa privada.